Anyone familiar with the workings of current smartphones has probably heard the terms “3G” or “4G” thrown around. To the uninitiated, it denotes the speed at which mobile devices can transfer data wirelessly. 3G is considered the “third generation” of wireless data transfer technology, and 4G refers to the fourth generation. These “generations” are characterized by a standardized transfer speed, with 3G clocking in at 200 kilobits per second (equivalent of 25 kilobytes) at a minimum and 4G’s lower limit set at 10 megabits (or 1.25 megabytes) per second, reaching up to 100Mb/s at its peak. To put this into perspective, an average CD is about 100 megabytes, and the average movie is about a gigabyte, or 1024 megabytes. 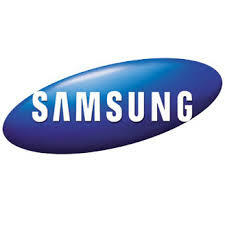 Enter Samsung’s new 5G technologies. Recently, the company announced that it has achieved transmission speeds of over 1 gigabit per second over a two-kilometer radius. That’s 128 megabytes per second. To make a comparison, download speeds handled by Cox Communications in Isla Vista will rarely exceed 4 megabytes per second. A speed test with results like these does not come around very often, and as Sean Buckley of Engadget reports, Samsung would new a few new toys and significantly more research time in order to make these speeds a consistent reality. “The company apparently needed 64 antenna elements to pull the trick off,” he writes, “but says the technology will be available to customers by 2020—matching the European Commission’s goal quite nicely.” What Buckley refers to here is the EC’s investment of €50 million (or just over $65 million) into research that is meant to bring usable 5G technologies to consumers by the beginning of the new decade. The seven years of development still needed would be focused around tasks such as creating the standards for 5G transfer speeds and creating technologies that can effectively use more high-powered frequencies to transfer data between devices. As Charles Arthur of The Guardian explains, “The transmissions used in the test were made at the ultra-high 28GHz frequency, which offers far more bandwidth than the 800MHz frequencies used for some 4G networks in the UK and elsewhere. High frequencies can carry more data, but have the disadvantage that they generally can be blocked by buildings and lose intensity over longer distances.” Before 5G could be feasible in a city characterized by large distances and tall buildings like, say, any major city in the world, there are still some sizeable developments that need to be made. So what does this mean for the wireless communication market? For one thing, this new 5G research positions Samsung as an important competitor within the consumer electronic space within the next few years. Nigam Arora of Forbes writes, “Samsung is not the only one working on 5G. But it is important to note that Samsung has already successfully countered Apple in the global patent war with some of its patents on transmission technologies. The farther ahead Samsung gets in terms of important patents on new data transmission technologies that may someday become the core of 5G; the more troubling it will be for Apple.” If Samsung can become a leader in these important transmission technologies, there may be a significant power shift in the industry. A consistent revenue stream set up by patents could be instrumental for Samsung’s ability to innovate with other technologies such as the mobile devices themselves, much like Apple has in the past with their iPhone. While 5G may be almost a full decade away, it is now an important topic for consumer electronic companies to address. With the incredible speeds promised by 5G, it’s no wonder that everyone from Apple to the European Union is now researching the best ways to utilize these new technologies, as the first party to reach a breakthrough may be set up for large revenue streams and a much larger market share. Consumers rejoice; you may be only a few short years away from downloading a full movie onto your phone in less than a minute.